Have a question for Hotel San Giorgio? This renovated hotel promises a convenient location and modern amenities with an affordable price tag. Hotel San Giorgio is located within walking distance of Piazza Garibaldi, one of the city's most beautiful squares, and the train station provides a simple way of exploring. The nearby Circumvesuviana train takes guests to Pompeii or Sorrento. The knowledgeable hotel staff is on hand to offer travel advice to the first-time visitor. There are many dining options around the hotel, and guests can enjoy a hearty breakfast on-site before leaving for the day. 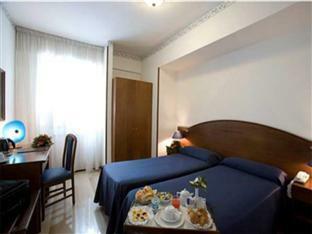 Hotel San Giorgio is best suited to travelers on a tight budget with a healthy sense of adventure. 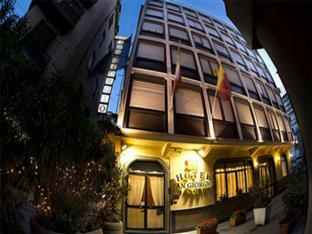 The hotel is located next to the main square and the train station. All the atraction can be easily reached by walking and/or public transport. although our stay was brief, there are are few good and bad points. pros - it is close to the train station, staff are helpful and it is generally clean. cons - the shower head fixture needed replacing and the shower needed a good thorough clean, air-conditioning didn't seem to be working in the room. rispondente alle aspettative, soprattutto rapporto qualità/prezzo. Criticità inerente la zona di collocazione dell'hotel, sarebbe opportuno che l'amministrazione comunale intervenisse in modo più inciso nell'area stazione anche in termine di pulizia delle strade.